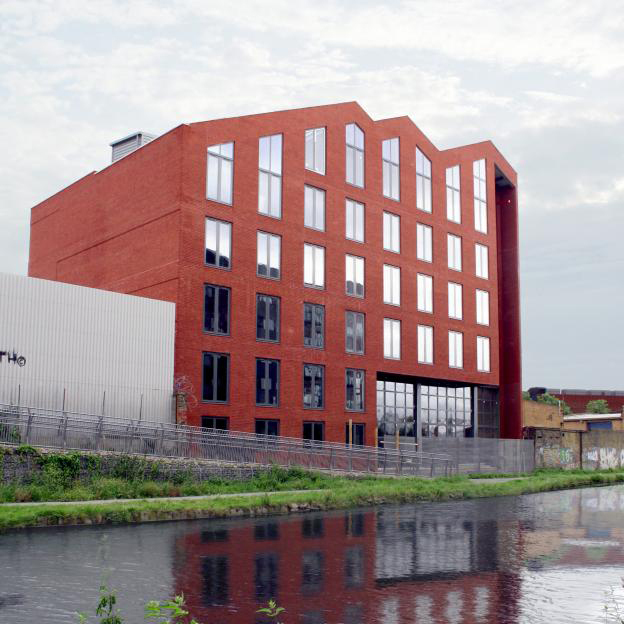 White Post Quay in Hackney Wick, opposite the Olympic Park, has become home to swimwear specialist Speedo for the duration of the Olympic and Paralympic Games. With the stimulus of the games, its strategic location and unique design, our developer client was inundated with requests to let the building – even though completion date was post Olympics. Post Games the building will revert back to its intended use as artists’ studios and business incubator units. The project is also designed as a flood resilient building, with the wonderful groundfloor foyer space, acting as a safe haven for other occupiers of the site and users of the towpath.